Somewhere in the neighborhood of $72 million, measured in bitcoin, has been stolen from Hong Kong-based exchange Bitfinex, reports Reuters. It is the second-biggest security breach ever of a bitcoin exchange. The record belongs to Mt. Gox, a Japanese-based exchange that went bust in 2014. The total number of bitcoin stolen is reportedly near 120,000, with the volume amounting to approximately 0.75 percent of all bitcoin in circulation. The world’s largest dollar-based bitcoin exchange told Reuters that they had reported the crime to law enforcement and were working with top blockchain analytic firms to go after the stolen bitcoin. Bitfinex director of community and product development Zane Tackett told the news outlet that 119, 756 bitcoin had been stolen from users’ segregated wallets. 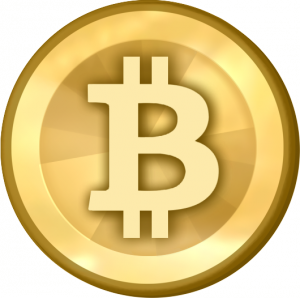 The bitcoin exchange had not yet decided how to address customer losses, said Tackett. In June of last year, Bitfinex announced a new bitcoin settlement and security architecture that, for the first time ever, allowed for complete segregation of all bitcoins of customers. Based on digital asset security platform BitGo’s multi-signature technology, the Bitfinex exchange then offered individual multi-sig wallets for each customer, allowing traders to confirm funds on the blockchain for total transparency while retaining institutional-grade security. “Our investigation has found no evidence of a breach to any BitGo servers,” BitGo tweeted after the Bitfinex security breach. At 11:00 UTC August 3, Bitfinex announced on the homepage of their website that they were working to reinstate limited functionality in a secure environment and that the full functionality will come in progressive stages afterwards. “The first step is bringing the site online and allowing users to login and view the state of their accounts. Note that initially trading, deposits, withdrawals, and other core site functionality will be disabled,” says Bitfinex on its website. Bitfinex further says on its website that more announcements regarding the next steps of the relaunch will be posted on the site as progress is made, with all important changes to feature availability being announced in advance. Why is it when the banking and investment firms get involved there is theft and fraud? It appears to be the model by which they conduct business. For those that believe in the sound principles of a cryptocurrency this is a prime example of why the banking industry has to be kept far away from these currencies.What’s the next step for users of bitcoin? Is it to beg government to regulate it, which surely will destroy the very fabric for creating a cryptocurrency in the first place. Bitcoins intent and design when it was created was to protect owners of the coins from the reckless actions of the banking industry and the lets print more dollar governments. Take no offense bitcoin owners but bitcoin has fumbled the ball in both security and in its applied use. 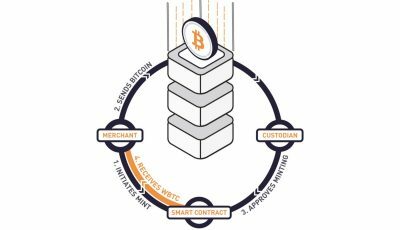 Bitcoin owners are without a working platform that provides the users/owners the ability to capitalize on their newly created wealth. Instead of creating a working platform where owners can publicly use and spend this wealth they instead permitted the very same institutions to have access to their unsecured coins. I say unsecured because bitcoins aren’t serialised nor can anyone identify what coin belongs to what user…. this is what blockchain technology was suppose to do. RECORD VALUABLE INFORMATION. Start getting use to reading these stories of theft and fraud of bitcoin and watch its value drop. Onecoin a cryptocurrency has addressed this and is solving many other issues with dealing with a working cryptocurrency. All of their coins when mined is directly identified to a owners and recorded in its blockchain, meaning if it is ever lost, stolen or hacked it can be retrieved intact to the rightful owner. This prevents money laundering schemes and the activities of illegal enterprises. In short, it is one of the best consumer protection plans ever created. Onecoin has 2.1 million members/owners of Onecoin, and yes these owners want to be able to have access to their money, to use whenever and wherever they want and not just between the owners like bitcoin had before aligning itself with what has been proven to be an untrustworthy banking industry. With the security measures being designed directly in each coin merchants can feel secure in accepting this currency as an approved payment system. Not to mention business will see a vast reduction in fees associated with the current banking schemes model. Get to know Onecoin http://www.onecoin4me.com you’ll be happy you did.